Tim Feldman, a federal employee in Cincinnati who’s considering phased retirement, recently spoke out about the benefits of a slower retirement transition and how it will benefit him and his family. But is this right for you? Two years ago, Congress passed a law that spoke directly to Feldman – it allowed federal employees to make a gradual transition into retirement, or as he described it, a “part time retirement”. 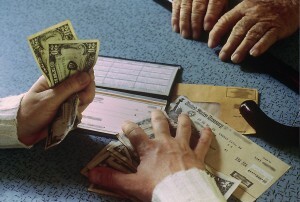 They also have the option of receiving retirement annuity payments, too. There are many benefits, including greater flexibility for the almost-retired in what their retirement ultimately looks like. Feldman also pointed out it provides a great opportunity to train the replacement. If you’ve ever begun a new job and felt like you were handed a stack of policy manuals, an empty office and a rushed, “good luck”, you know the frustration of not having someone to turn to as you attempted to find your way in your new role. Phased retirement eliminates that and puts new workers in an ultimate position of learning from the one who’s successfully done the job for years. In Feldman’s case, he has thirty years as an IRS Agent under his belt. There’s a wealth of valuable information he can pass on – if he can make the phased retirement work. In Ohio, phased retirement has the potential of saving the state more than $425 million annually. That alone is worth the consideration. But what about the drawbacks? There are more than a few to consider. Right now, there are close to 78 million baby boomers in the U.S. who see the finish line in their working careers. A new survey, though, reveals that only 8 percent of companies even offer a phased retirement. That could be because no one has figured out a way to ensure employee benefits and Social Security payments aren’t jeopardized. If your employer offers a benefit pension plan, the formulas used to calculate your payments could become quirky- and no one’s figured out how to make it work without compromising those payments. Remember, the payments are based on an average salary you earned in your last years with that employer. The same goes for any life insurance benefits, especially for your spouse. Employers will often calculate the benefits based on a formula that includes your salary. A decreased salary could mean decreased payouts. Then there’s your 401 (k). You may not be able to continue building it if your employer allows you to continue on a part time basis. Not only that, you could lose all or part of your employer healthcare insurance. You might also be asked to pay more to keep it. With the uncertainties still a part of ACA, there are still plenty of moving parts and most employers are going to err on the side of caution. Finally, don’t forget the Social Security payments. Historically these benefits are based on your average earnings during your highest income years. If you begin collecting Social Security before full retirement age, you could see as much as a 30 percent decrease in some instances. These cautions are important and shouldn’t be underestimated; still, for some, and depending on their employers, it’s become a viable option. Be sure to also take into consideration your overall estate plan, too. Don’t forget those financial tools you have in place to reduce taxes. Take the time to review your overall plan with your estate planning lawyer.